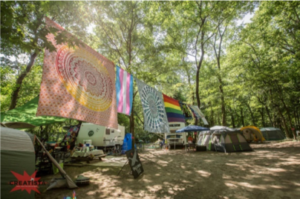 #WildGooseMoments is a series where folks are sharing the experiences that touched them, surprised them, and made them fall in love with the Wild Goose Festival. Today, Janis LeMieux shares her experience of hearing God in the quiet. I live on Hope Street, near the intersection with Faith Street. It’s a good reminder where my focus should lie. But, sometimes in the grind of everyday living, it’s easy to forget in whom my hope and faith should rest – even with street signs to remind me. In many ways, my life has been what some would consider unconventional. I haven’t always taken the easiest path. For a few years, life had been full of change, a few setbacks, and deep internal questions. Hope was hard to maintain. So, in the spring of 2017 when one of my pastors told me, “You NEED to come to Wild Goose Festival.” And I hesitantly agreed, not knowing what to expect. Although I had heard about The Wild Goose for a few years, I didn’t really know what to expect. The more I learned, the more excited I became. 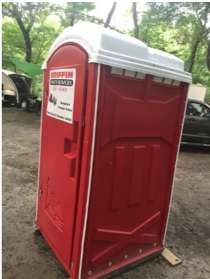 I decided to volunteer, and when the festival dates were near, I packed up my camping gear and off I went, still not really knowing what was in store for me. On the second day, as I walked in darkness to the Desanka tent where I had early morning kitchen duty, I was struck by the dark and quiet. Standing for a moment on the dirt path, trying not to resent the early hour as is my normal not-morning-person nature, I took a moment to be thankful for all the souls and experiences I was encountering. I turned off my light and listened to the whisper of the wind in the tops of the trees, the sound of the river beside me, and the faint sounds of humans awakening to the day. In the hush, as the day lightened, I felt the presence of my fellow campers and could feel the very real presence of the Holy Spirit, whispering to me that the people of God had gathered and were taking their rest. Surrounded by thousands of people from all walks of life, different faiths, diverse races and cultures, all committed to co-existing in peace and treating each other with respect and compassion during our time together, I was filled with hope! That hope surprised me in the moment and has sustained me since. I have prayed the prayer below often since then and it is always in my heart as Wild Goose days draw near again. The hopefulness I received has been a gift and I cannot wait to have my soul replenished, my faith in humanity restored, and my joy in the company of fellow seekers renewed once again at The Wild Goose. Creator, touch our hearts that we may hear you in the small, silent moments of our lives. Help us to live in hope and faith so that through our gentleness and respect, others may see your grace as a welcoming beacon. Keep us safe in the world until we all gather again at The Wild Goose. Janis is going to be returning to Wild Goose Festival this summer! Are you going to be there? Be sure to get your tickets today! Do you have a story you’d love to share with #WildGooseMoments? email it to kevin@wildgoosefestival.org! 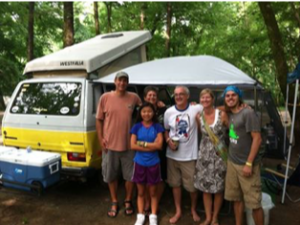 This week, we’re beginning to share stories from people in the Wild Goose community. Things that have empowered us and challenged us. Stories that inspire and stories that keep pushing us to ask better questions. We hope you enjoy this first story from our friend, Kevin Garcia. My first time at the Wild Goose Festival was in the summer of 2016. I was a fresh six months out of the closet, diving headlong into LGBTQ advocacy work and desperately looking for spaces that would not just accept me for who I was, but celebrate me for who I was created to be. And being that I was super broke, working for a non-profit, a friend of mine who was a co-creator at the festival actually gave me the extra ticket. It was an act of generosity that would affect the trajectory of my life. As I walked into the Wild Goose grounds, I was just taken aback by the energy I felt. The joy I felt was palpable. The people I ran into were actually friendly and wanted to know who I was, and not just in that annoying Sunday morning, greet-your-neighbor, kind of way. It was genuine curiosity. Whether it was a stranger I’d sit with to share a midday meal with or a bro-looking pastor (who, admittedly, I wrote off as some white pseudo-progressive) who I shared a beer with while we sang old hymns, the relationships I began to make were authentic. The way people treated me made it feel like I’d been a part of the community my entire life. There were no strangers. There was no hiding. I could be myself the entire time. 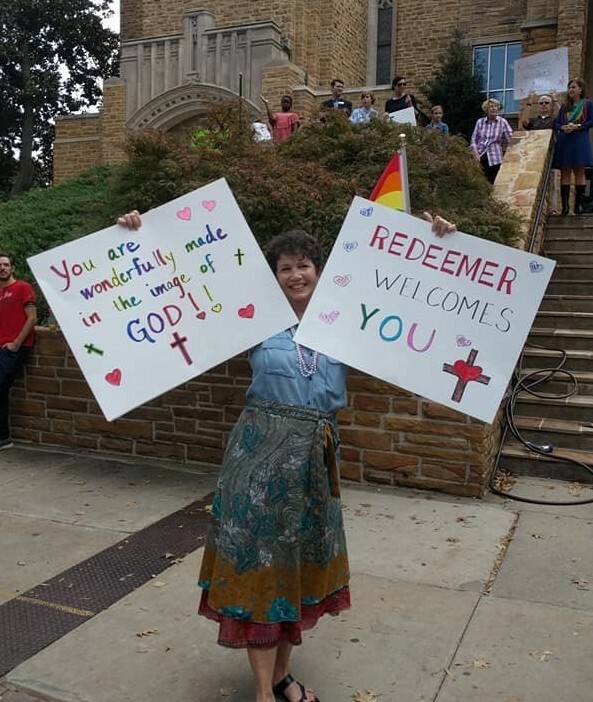 And as I shared my story with others, as I shared my hopes for what the Church could be, and what I hoped to do to help make the Church safer for the LGBTQ community to engage with, I had so many people tell me they shared the same hope. They affirmed my aspirations and suddenly, my dreams felt less like fantasy and more like a roadmap that God laid out in my heart. And that was a first. After the first session I went to, I met my friend Sarah, to whom I basically said, “You have to be friends with me.” Et voila, we text just about every other day. She said in her session that there is “a gospel message that only you can preach. And there are people in this world who can only hear a gospel from your lips.” It was like the Holy Ghost shook me and set a fire off in me to not wait around for anyone to give me permission. I was already empowered by God to be a preacher, a pastor, a revolutionary. When we hung out later that evening under the beer tent, it was Sarah who told me that the work I was doing was important. “It’s like you’re living a tiny revolution!” That one conversation lead me to start my podcast and my youtube channel to talk about faith and sexuality, and how nothing can separate us from the love of God. And my friends! That was just the first year. The following year I gave a talk of my own. I hung out with the Wild Goose Youth we engaged in hard topics around self-image and social media. I worshiped under a tent with even more beautiful strangers. I prayed over people who hadn’t had a good word spoken over them in so long. I dreamed bigger and loved harder. The Wild Goose Festival is not a perfect space, from one year to the next, I see improvement. And I keep coming back because there are folks genuinely trying to listen to the voice of God and grow to be more inclusive and more creative. So! That’s just some of the many reasons I’m coming back this year. Will I see you there? Kevin Garcia (he/they) is a speaker, creative, musician, content creator and worship artist based in Atlanta, GA. He graduated from Christopher Newport University in 2013 with a BM in Music Education and has been everything from a barista to a corporate office worker to a non-profit professional since then. 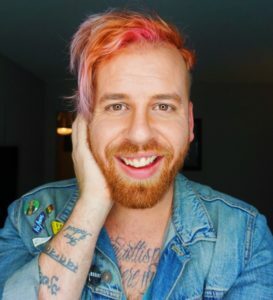 After coming out in the fall of 2015 as a gay Christian, Kevin has reached thousands of individuals across the globe with his blog, theKevinGarcia.com, his podcast, “A Tiny Revolution,” on his YouTube channel where he unpacks theology and addresses life as a queer person of faith, and through speaking engagements at churches, universities, and festivals. Kevin also works with The Reformation Project, an LGBTQ direction action organization with a mission to make the global church more inclusive for queer people. He is presently a candidate for a Masters of Divinity from Columbia Theological Seminary in Atlanta, GA. He believes that by telling our stories, we set others free to tell theirs. In addition to LGBTQ advocacy, Kevin’s passions include vocal jazz, tacos, and really horrible dad jokes. Want to tell your own story? It’s simple! 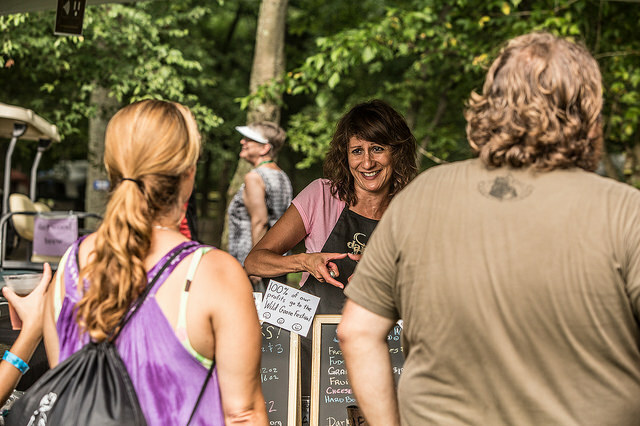 If you’ve got a story to share, write it up in a blog format between 500-750 words, and then send your #WildGooseStories to kevin@wildgoosefestival.org. We’ll get back to you and share it with the whole community!